THE WINNER of Miss Teen Bristol is holding a musical charity event to help children with life-limiting illnesses. Imogen Chapman, 17, from Emersons Green, is busy selling tickets for the fundraiser, which takes place at Filton College where she is studying musical theatre. The Night of Musicals, on Friday July 22, will showcase some of the best songs from musical theatre and will be performed by Imogen and her college friends. Proceeds will go to UK charity Together for Short Lives. Imogen struggled with confidence issues during her school years but, with support from her family and friends, has blossomed into a confident teenager. Imogen, who has just completed her first year at Filton College, spends her weekends and holidays playing the roles of various Disney characters, singing at local and national events. Imogen is also being kept busy preparing for the prestigious Miss Teen Great Britain final, which takes place in Blackpool in October. Imogen said: "I am a much more confident person now and am delighted to have been given the opportunity to participate in Miss Teen Bristol and was overwhelmed when I was crowned the winner. "Miss Teen Bristol means so much to me and I hope that I can help others who have had tough teenage years to believe in themselves and believe better things can and will happen. "Part of my campaign is to gain as much exposure as possible, to focus the spotlight on the opportunities that Miss Teen Great Britain can bring and the benefits thereafter. I am happy to attend local events, sing at summer fairs and offer as much support to the community as I can. I would ask you to contact me at imychapman@hotmail.com if I can help in any way. If I can change one person's outlook on life, my campaign has been successful." 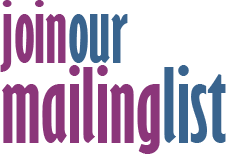 Imogen said she has received fantastic support from a couple who run a business in Downend. 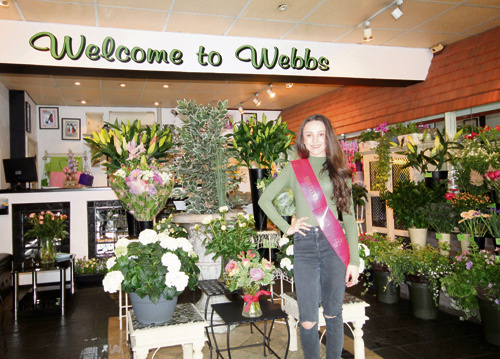 "I would like to thank my sponsor Webb's Flowers in Cleeve Wood Road. Thank you so much Debbie and Roger Webb for your support." Tickets for the fundraiser cost £7. Please email imychapman@hotmail.com for tickets.